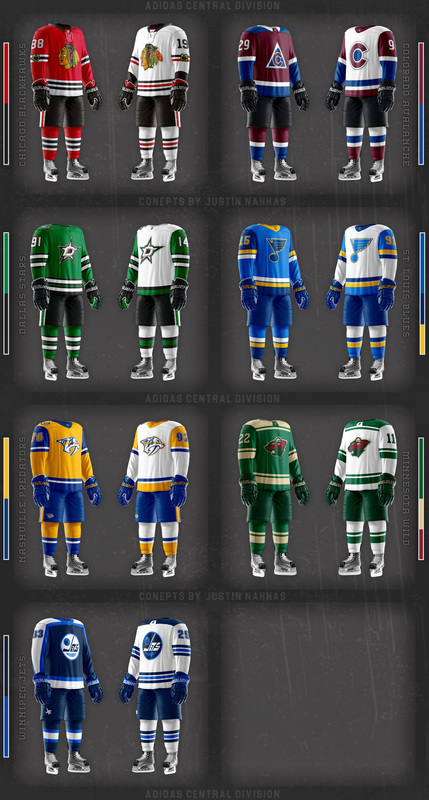 I've prepared some NHL concepts where I try and refresh team branding and uniforms. I'm trying to make the rest of the league fall more in line with what I've come to expect from Adidas. All teams get *some* sort of change from their current (Reebok) uniforms, although a few don't see much change at all (ie. Flyers, Leafs). I will accept C&C but I don't plan on making revisions to the uniforms unless I really feel compelled. 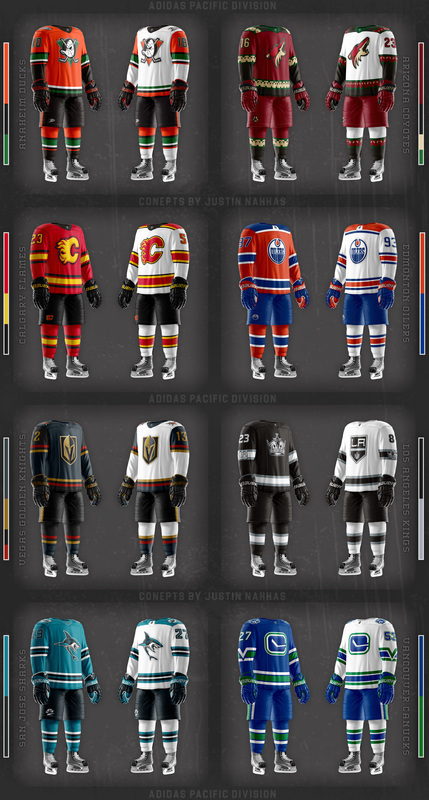 I will be adding "Marquee Matchups" where teams use special uniforms. This is where C&C would be most useful, in suggesting matchups, uniforms, revisions, etc. I felt that some of these uniforms only needed minor tweaking, which is why I got it them out of the way first. Carolina Hurricanes: Square pattern added back into the jersey, very subtle solution to an already clean look. 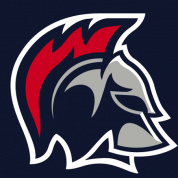 Colombus Blue Jackets: Taking cues from the Ohio flag, I try to give the Jax a more exciting look. New York Ranger: Untouchable uniform design, revised away uniform fonts to match striping. 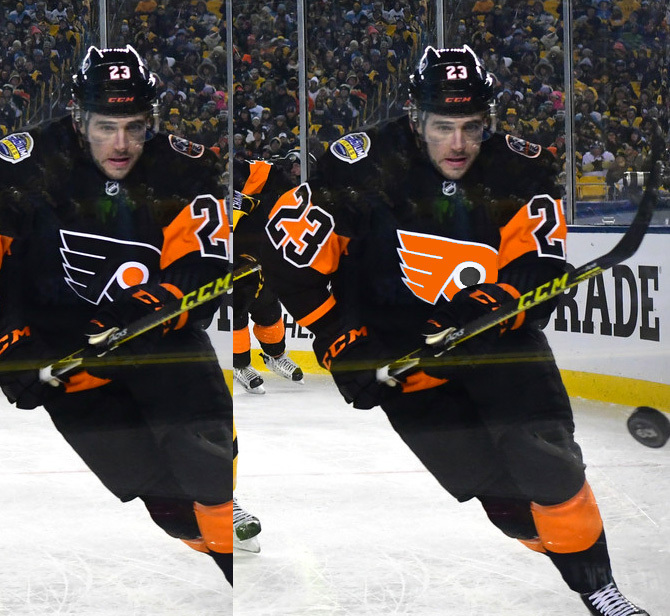 Philadelphia Flyers: Untouchable uniform design, original and classic. 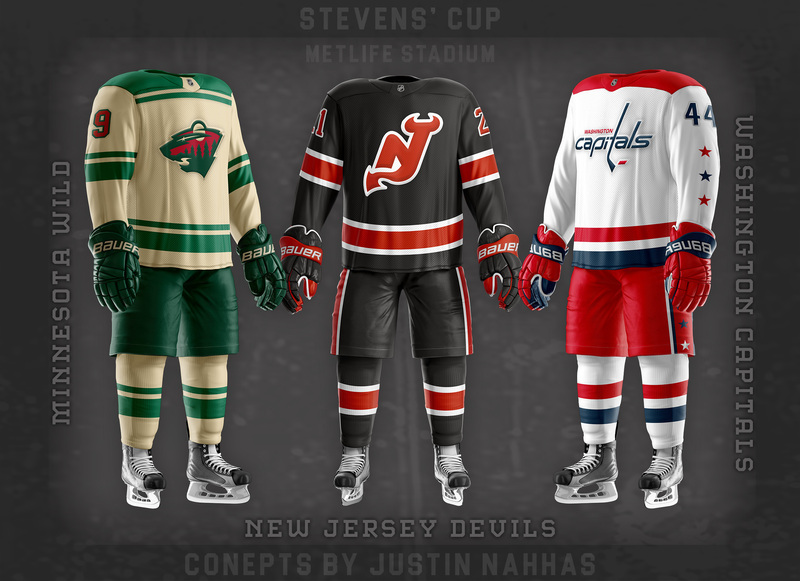 New Jersey Devils: Untouchable uniform design, revised logos to modernize the look. New York Islanders: Taking cues from the Brooklyn Alts, I try to give the Isles an updated identity in their current colour scheme. Pittsburgh Penguins: Untouchable uniform design, adjusted waist stripes to clean uniform up. Washington Capitals: Updated the current striping pattern to make it more modern, made better use of the Weagle. this is an awesome template. Only thing i'd change is bringing the logos above the mesh texture. Most of these look good though. certainly bringing some individual styles back to the teams. The only thing that jumps at me that i don't like is the shoulder yoke on the Islanders' away. excited to see the rest of the league! I agree that the logos should be above the mesh textures, but I did not figure out how to do that on this template until I was already finished more than half the league. For consistency, I kept them all the way this first set is. When I start posting the matchups I'll begin to use the logo over the mesh. Thanks for mentioning it! Although this division has more changes than the last, I still tried to maintain key brand elements. 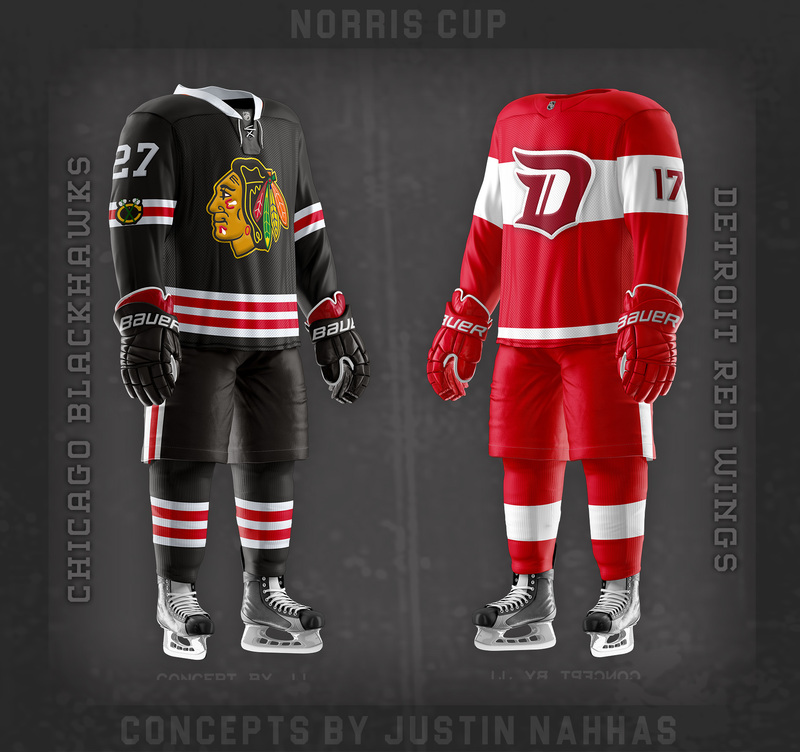 Chicago Blackhawks: Untouchable uniform design, a few subtle changes to make it feel more *classic*. Colorado Avalanche: Taking cues from their Colorado Alts, I try to give the Avs a simple modern identity. 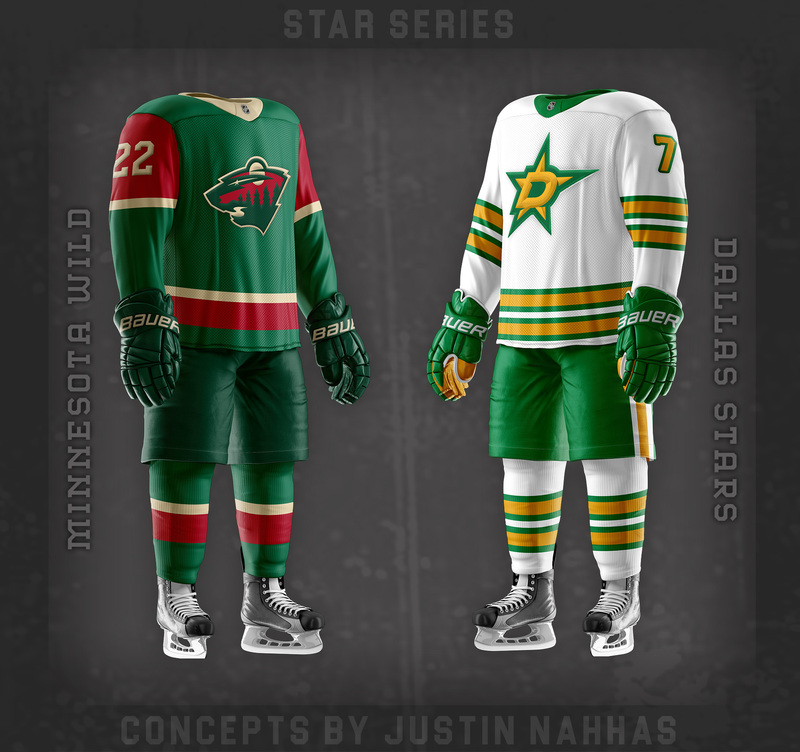 Dallas Stars: Calling back to the North Star identity, Dallas' double stripe take prominence. 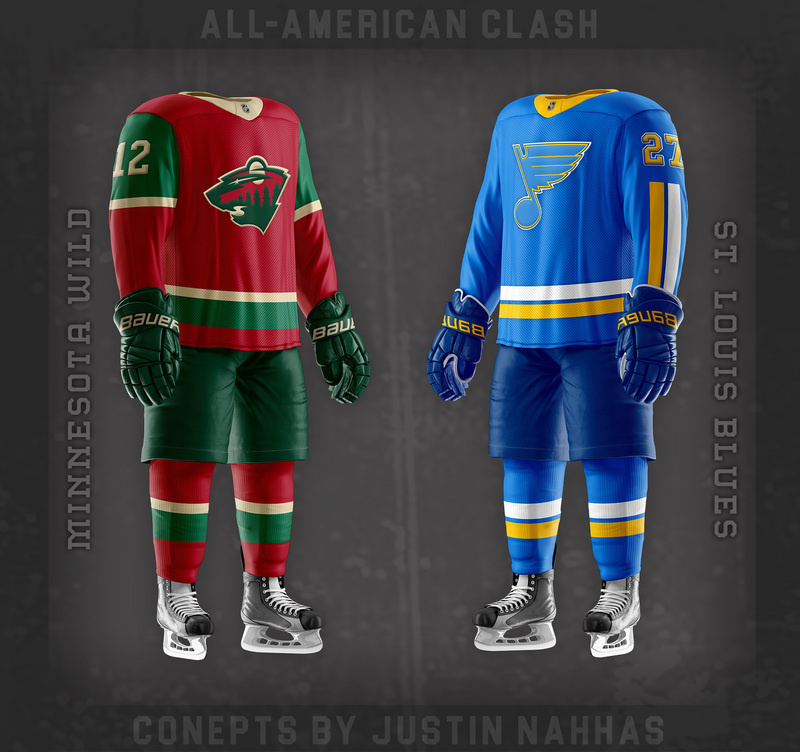 St. Louis Blues: I have inverted the sleeve stripes, and applied the lighter blue from the early days in St. Louis. 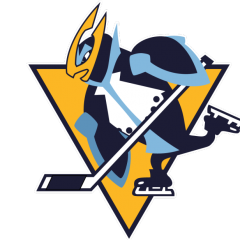 Nashville Predators: Once again the stripes have been inverted, this time I went with a more vibrant blue the complement the gold. 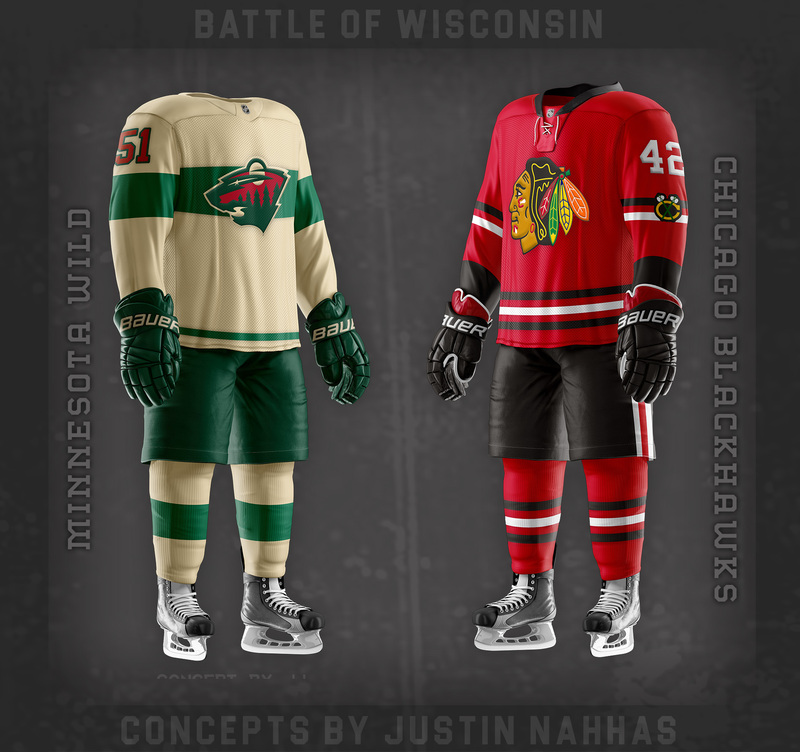 Minnesota Wild: Taking cues from their Minnesota Alts, green takes prominence in their colour palette. 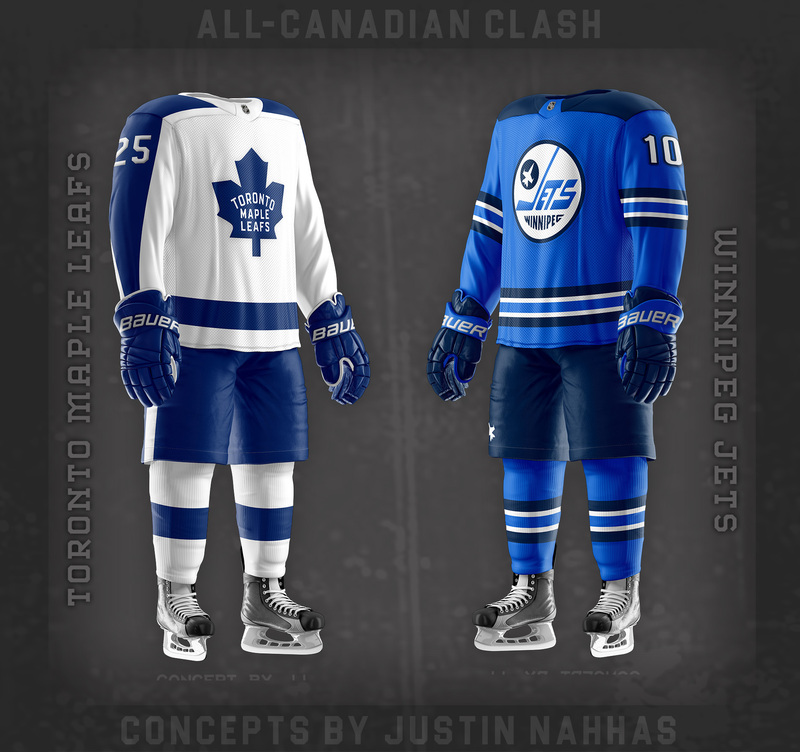 Winnipeg Jets: Both uniforms play into a different Jets era, while their current colour scheme is recycled into their vintage logo. I like the Blackhawks, Wild, and surprisingly the Avs. I like the approach for Colorado with keeping the colors with the Alternate identity. If they went this route instead of navy blue, i wouldn't mind it as much. 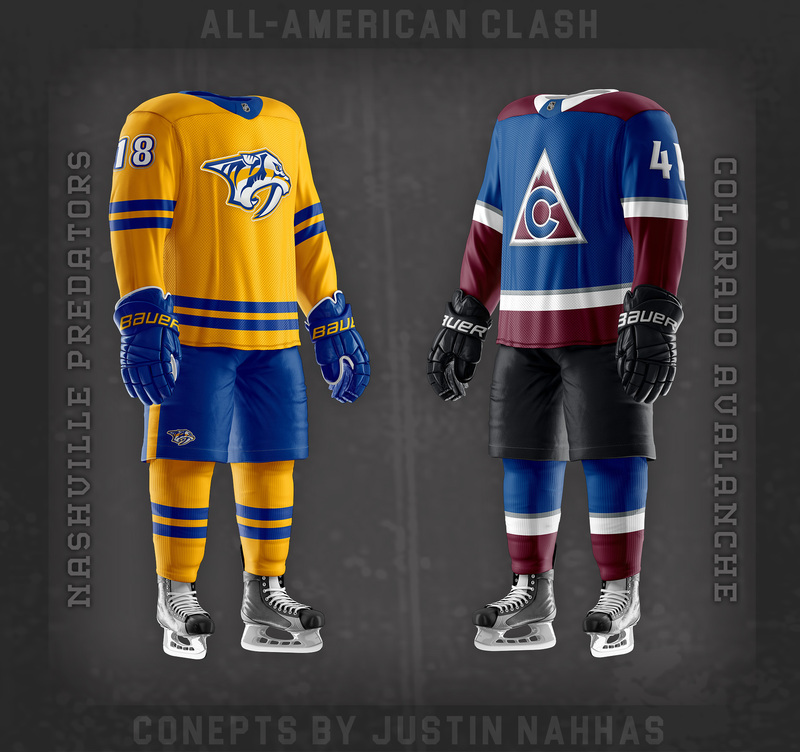 I do like how you balanced the colors on Nashville's road, I'm seeing too many teams with the upper arm designs. It's 4 in this division alone. 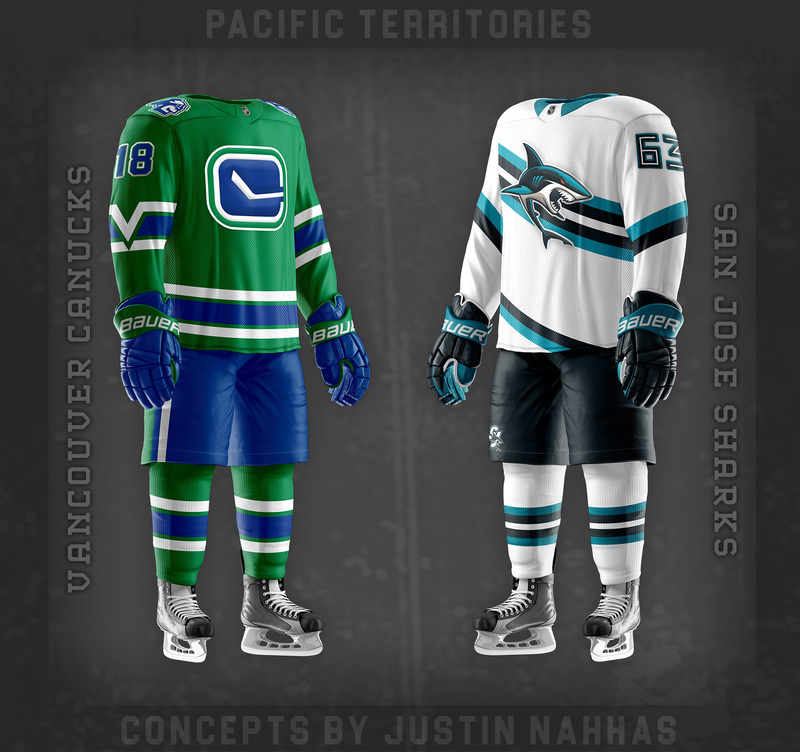 I want the away jersey concepts to be *less* white, more balanced and more colourful! There will be a few more uniforms that have stripes on the upper arm. 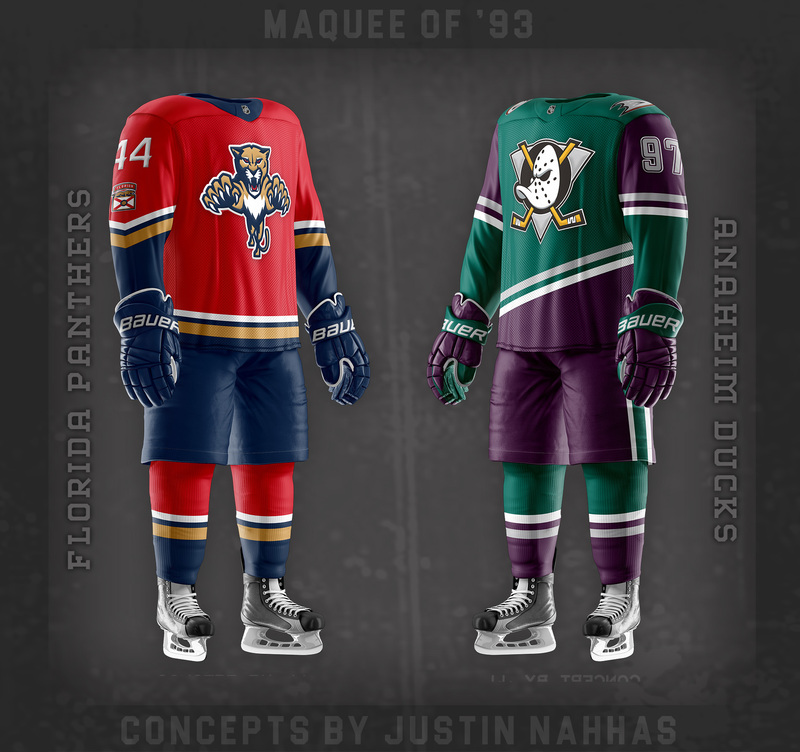 Anaheim Ducks: Mimicking their current Mighty Ducks Alt, substituting gold with jade. 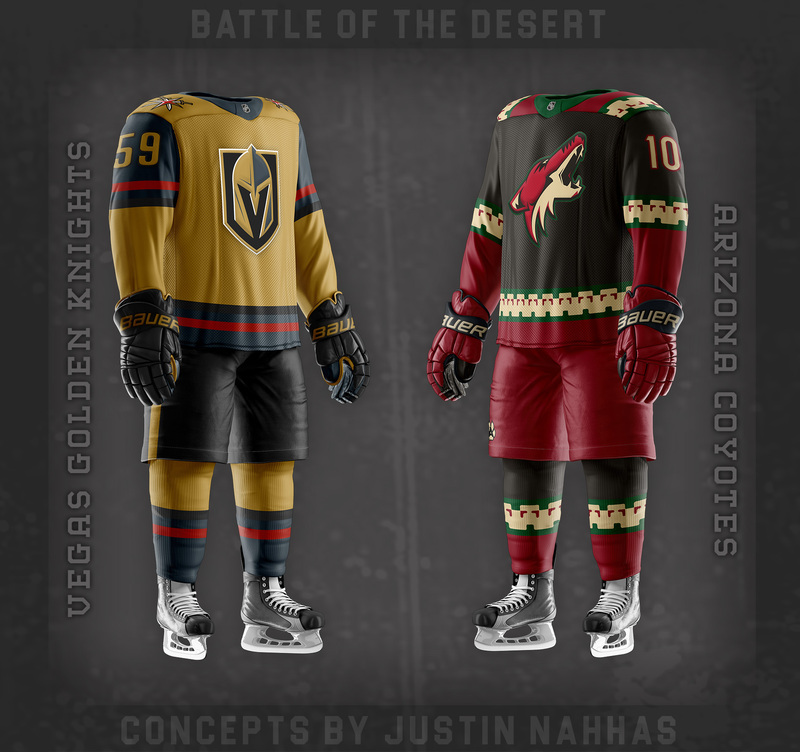 Arizona Coyotes: Blending their inaugural kachina-style uniforms and the current Yotes brand. 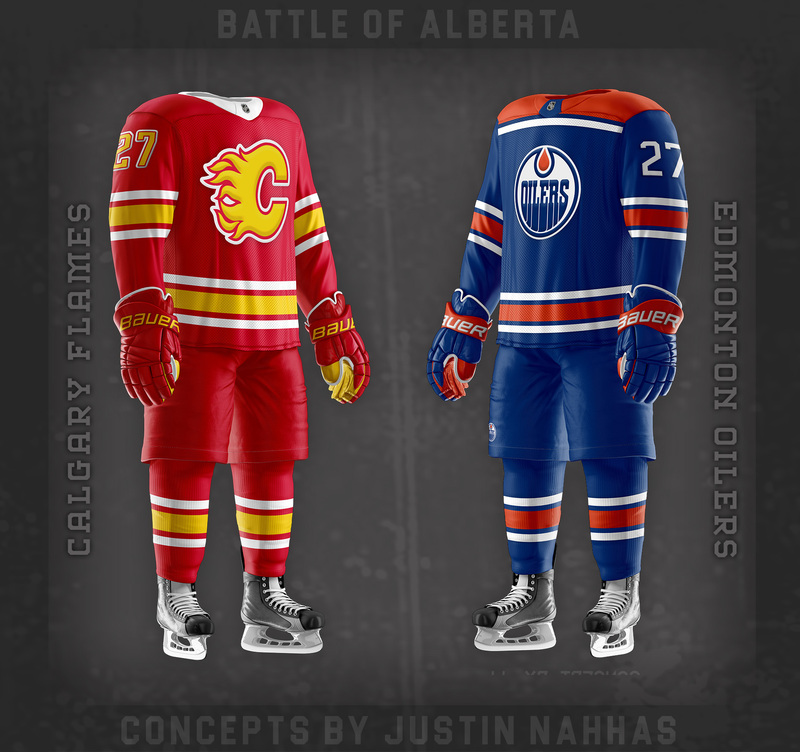 Calgary Flames: Taking cues from their current alternate uniform, but applying "hotter" colour distribution. Edmonton Oilers: Created a new set based on their new orange uniform. 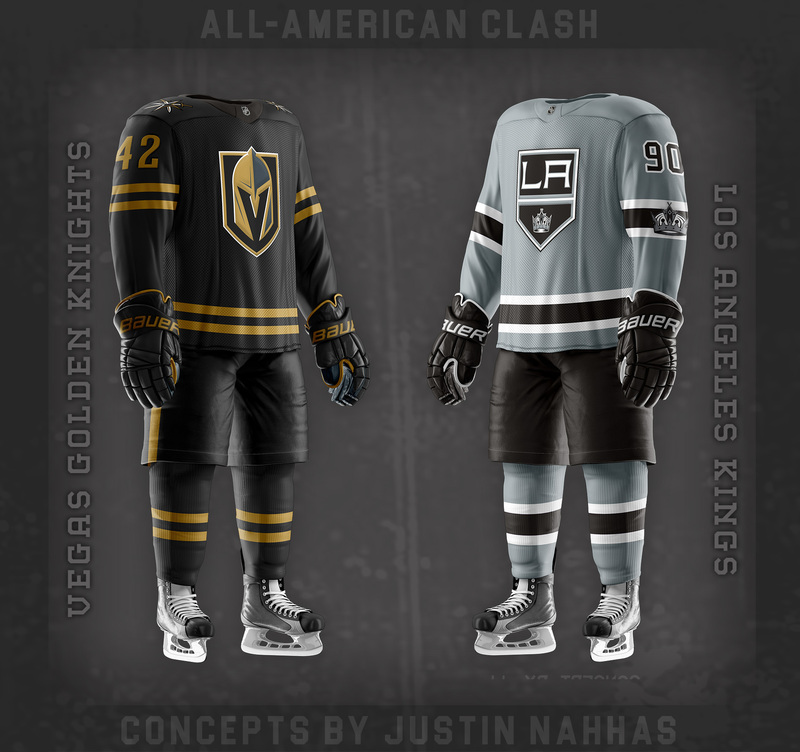 Vegas Golden Knights: Tried to give Vegas a clean and modern look, utilizing their Steel Grey. 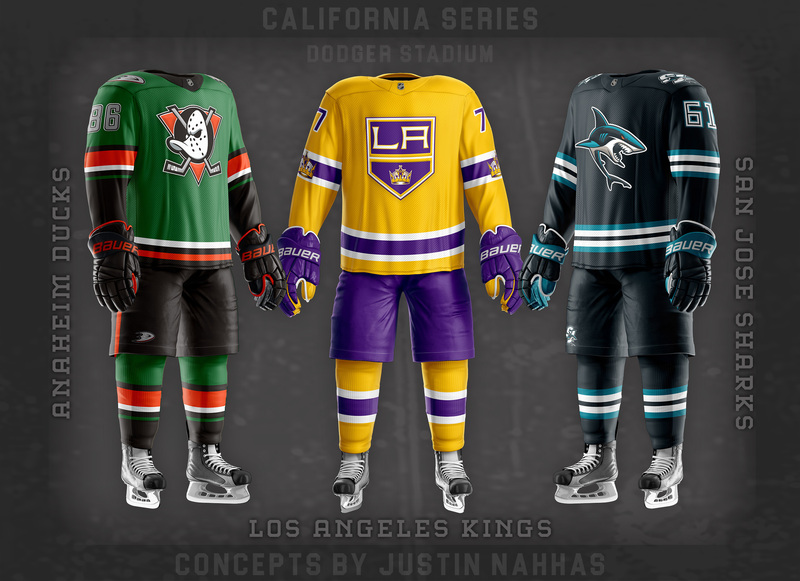 Los Angeles Kings: Removing the piping from the sleeves and making the uniforms more coherent. Re-instated the crown on home jerseys. San Jose Sharks: Used one of the newly designed alternate logos, black is now a deep navy. 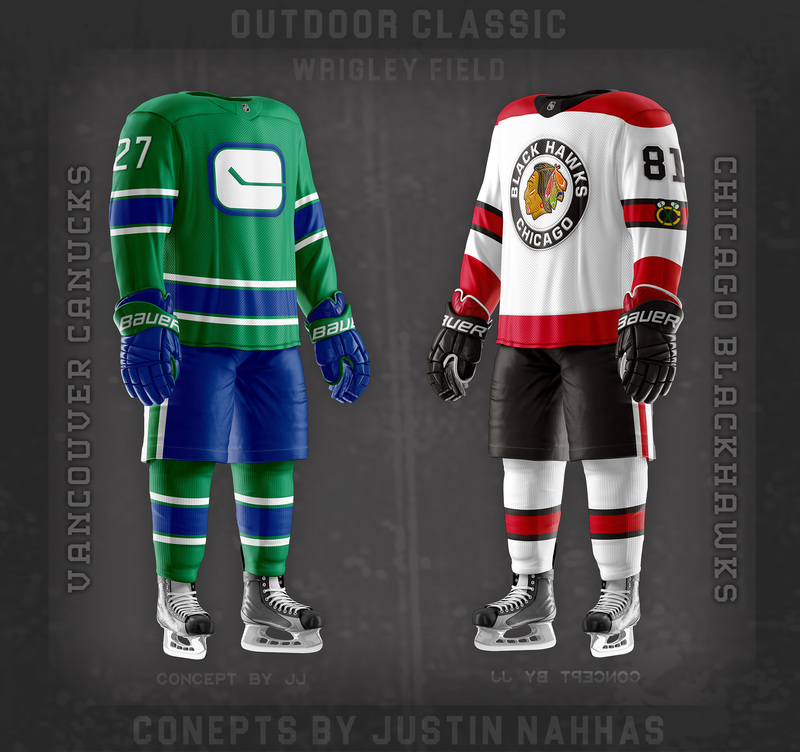 Vancouver Canucks: Taking cues from their current alt, while adding a "V" to the sleeve stripes. All of these are very clean. My favourites so far would be Pittsburgh, Edmonton, Columbus, and Minnesota. I love 'em all! 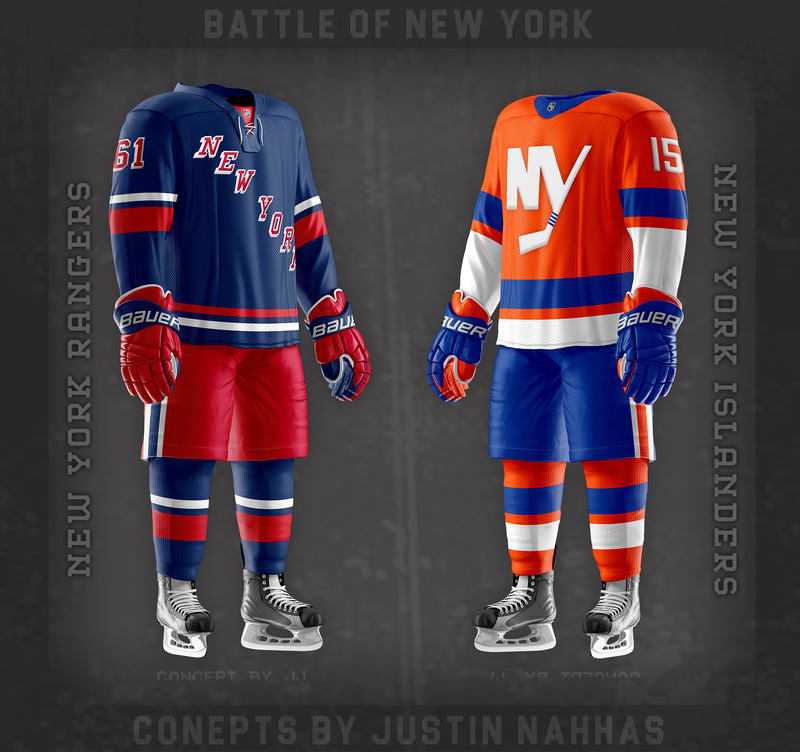 I'd just make the logos match on the Islanders' jerseys. Pacific might be the strongest set so far. I really like Calgary, Vegas, Vancouver. Edmonton and LA are good as well. Im torn on Arizona. I almost want to see black pants instead but I like not having them as well. Anaheim I like, but I've come to like the gold with the orange. At first I thought I was seeing things until I read the description. Absolute PERFECTION for the Blackhawks. You hit that one completely out of the ballpark. 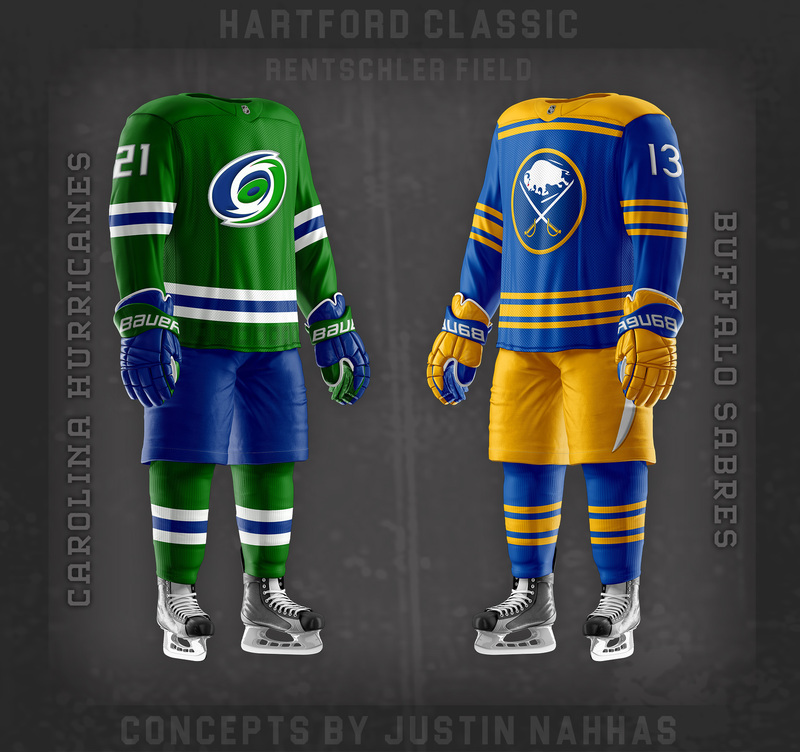 Buffalo Sabres: Melding the original Sabres uniforms with their current set, with modern touches. 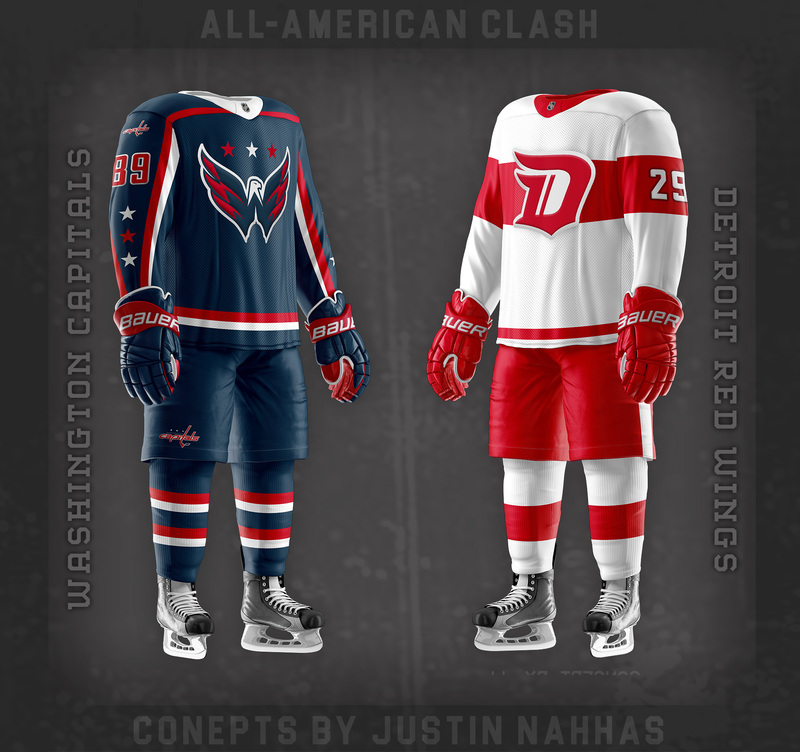 Detroit Red Wings: Untouchable uniform design, using their Stadium Series number font. 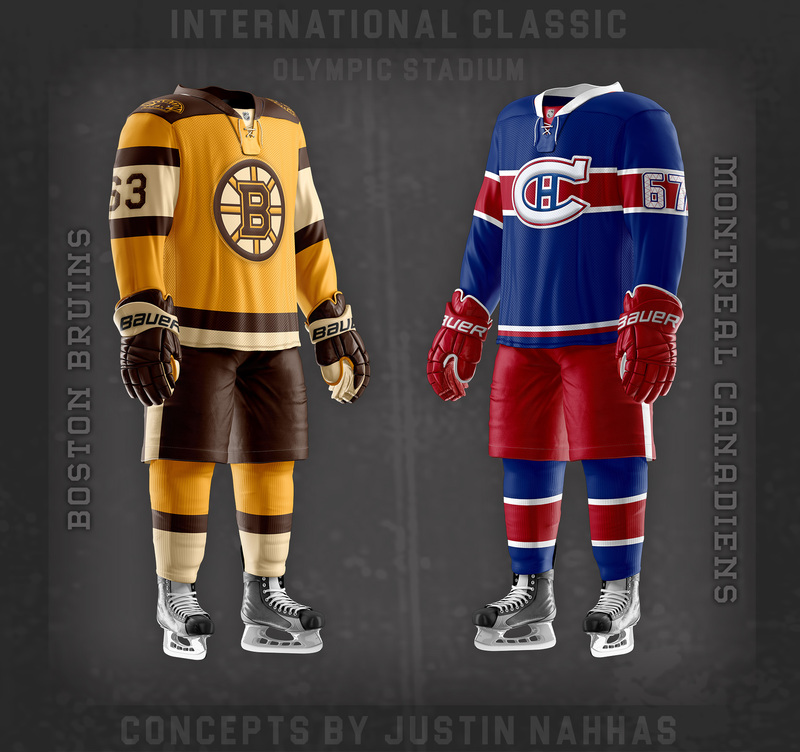 Montreal Canadiens: Untouchable uniform design, minor edits to keep it looking classic. 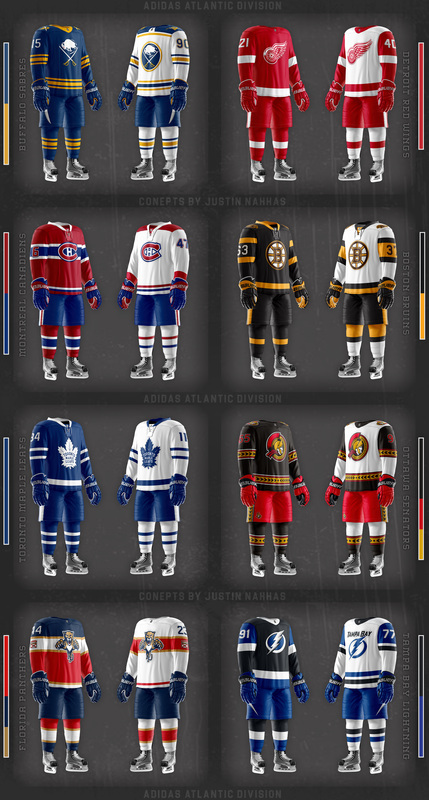 Boston Bruins: Taking cues from their Winter Classic Alt, I tried to give Boston a clean modern look. Toronto Maple Leafs: Adidas already did this one right. 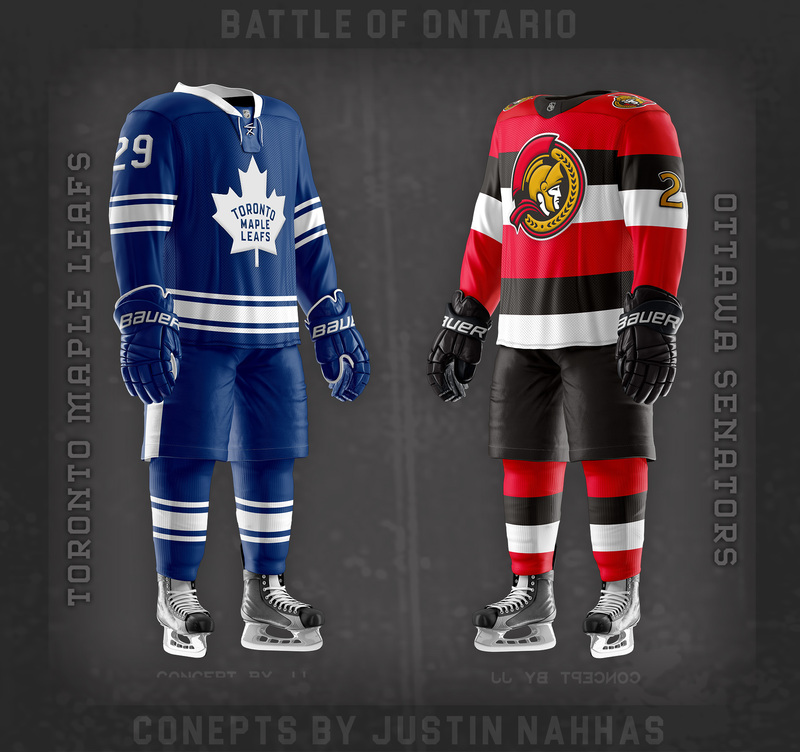 Ottawa Senators: Taking cues from the 2000 alternate uniform, the Sens are back in black. 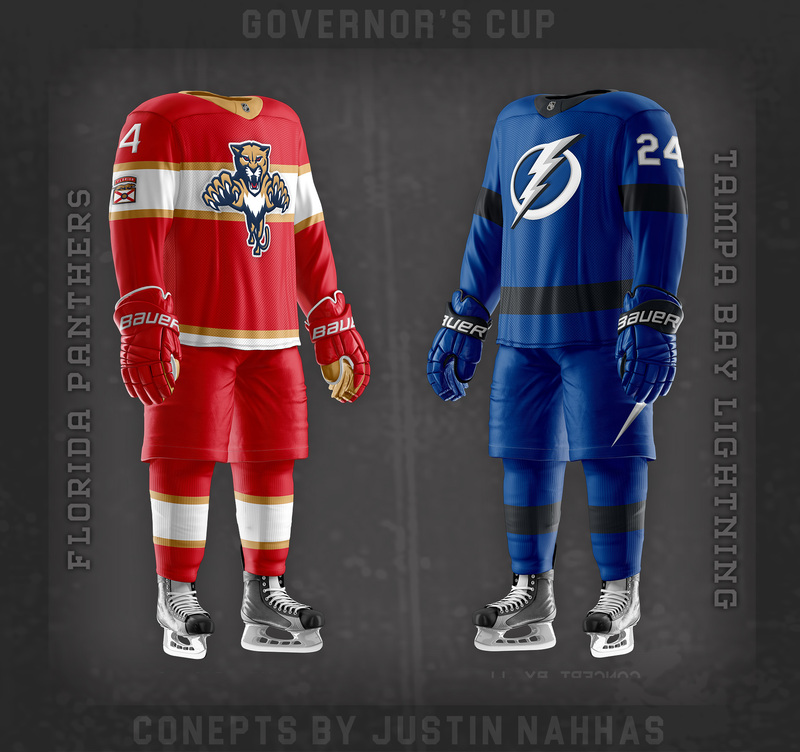 Florida Panthers: Uniforms based on the current template, utilizing the colour scheme to make them more vibrant. Tampa Bay Lightning: Taking cues from the Bolts original uniforms, blending it with their current identity to give them a bold new look. I'm usually very critical of Boston concepts, but really like this. My only feedback on it is the socks on the away. I'd have them match the hem stripes, or even double them like you did with Washington's. I really like the Rangers, Flyers, and Capitals Marquee Matchup sets. 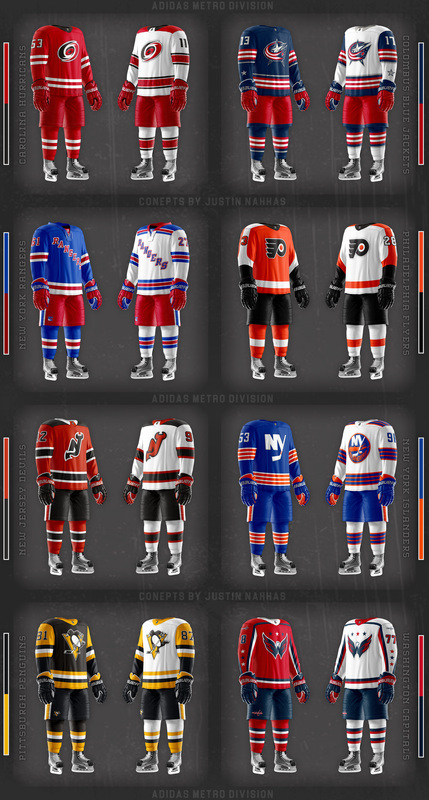 I actually made a Flyers jersey like that for an EA game, just not an orange logo. Hope to see lots more as these are outstanding. Good feedback for the Bruins set! I made the socks yellow at the top to follow Boston's tradition of yellow socks. I was really keen on keeping it on the dark uniforms as well, but it didn't look good at all. I tried to mimic the sleeve stripes, but I see what you mean it does look a little bit awkward. I may go back and make a revision. Bruins look fantastic. Great clean look. 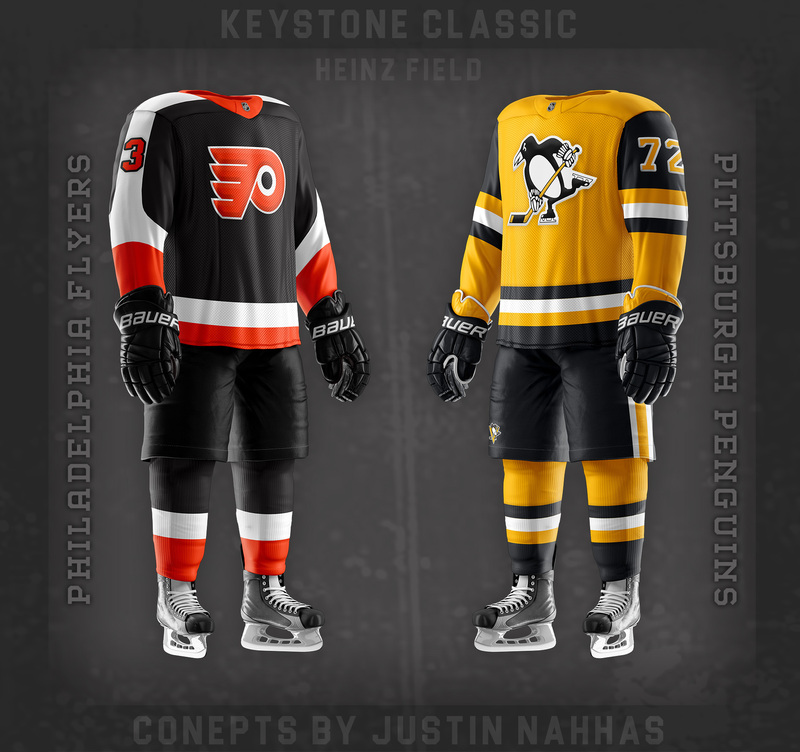 Hmm...the Keystone Classic is good, especially Pittsburgh, but I'm not a huge fan of the Orange Logo for Philadelphia, it feels...off. But both are really great sets. At first, I felt the same way... But ever since the first concept I made with an orange logo like this, the black on black has looked wrong to me. The flyers have a great logo, and black on black underemphasizes it!